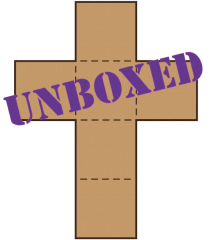 Welcome to my Unboxed store! Here you will find a wide variety of resources, both fiction and nonfiction for a variety of ages. The hope is that you will find that perfect book for you or your child, which will stretch the imagination and deepen theology. Also, if you are specifically looking for the fiction I wrote, I have a special page for that too. Looking for something a bit more practical? Then check out my nonfiction page. Here you will find tools for parents to teach discernment and to navigate reading world. I also have a high school curriculum that teaches the basics of discernment through Bible study and the analysis of film.